Heanjia Super-Metals produces special alloy wires or thermal spray wires. The materials cover most metals and special alloys, such as Nickel Wires, Inconel Wires, Monel Wires, Nichrome Wires, Hastelloy Wires, etc. We are also able to produce flat wires, Square and Shaped Wires by customer’s requirement. The products are getting good feedback from our customers because of the good alloy quality and wire drawing quality. We are a leading manufacturer and supplier of high quality Inconel wires that are made available in the various Inconel grades such as Inconel 600, Inconel 601, Inconel 625, Inconel 718, etc. The wires are produced as per international quality and safety standards for use in the diverse industrial applications. Inconel alloy wires resist a wide level of severely corrosive media, oxidation, pitting and crevice attack. They are hot and cold rolled, annealed, redrawn, pressed and more processes are followed depending on their use. Inconel wire specifications: ASTM / ASME SB166, ASTM B 446, ASTM B 637, ASTM B 511 and ASTM B408. We supply highly durable Monel wire for use in marine engineering, chemical and hydrocarbon processing units and heat exchangers. Monel becomes non-hardenable by heat processing. Monel wire features good mechanical strength and corrosion resistance. This wire is specially used in the range of environments varying from mild oxidation via neutral to reducing media. We produce the Monel wires by following the highest standards. Monel wire is made in grades- Monel 400 and Monel K-500. The Monel 400 wire specifications: ASTM B 164, ASME SB 164/ SB 564. Heanjia is one of the trusted international firms for supplying Hastelloy wire. With our constant efforts, efficient and specialized manpower and dedicated management, we offer the high quality Hastelloy wire for your service. Hastelloy alloy wires are available in grades: Hastelloy B2, Hastelloy B3, Hastelloy C4, Hastelloy C22, Hastelloy C276, Hastelloy C2000 and Hastelloy X. The Hastelloy grades are known for their excellent resistance to pitting, crevice and stress corrosion cracking. Hastelloy wire offers outstanding high temperature strength, oxidation resistance and easy fabricability. It is used in chemical plants, pollution control, pulp and paper industry and waste treatment. 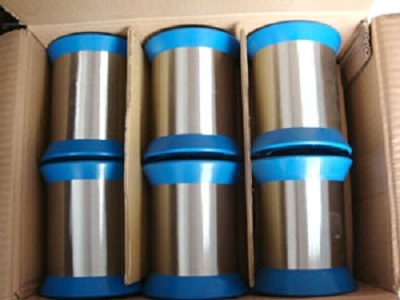 Nichrome wire is made from non-magnetic Nichrome alloy that is characterized by good electric resistivity and high oxidation resistance. It offers supreme ductility even after prolong performance. Nichrome wire is used in applications –hair dryers, heat sealers, ceramic support in kilns and resistors. 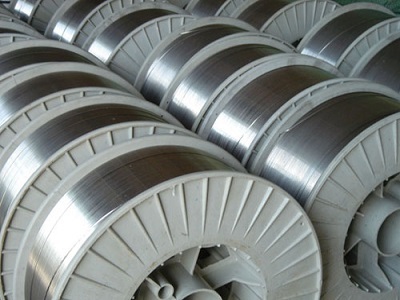 Nichrome alloy wire is made from two grades- Nichrome 60 and Nichrome 80. Nichrome 60 wire is a common heating element that is used in domestic applications in moderate heat and humidity conditions. Nichrome 80 wire offers prolong service life with outstanding adhesion characteristics of its surface oxide.